ARM is one of the world’s leading semi-conductor intellectual property suppliers. 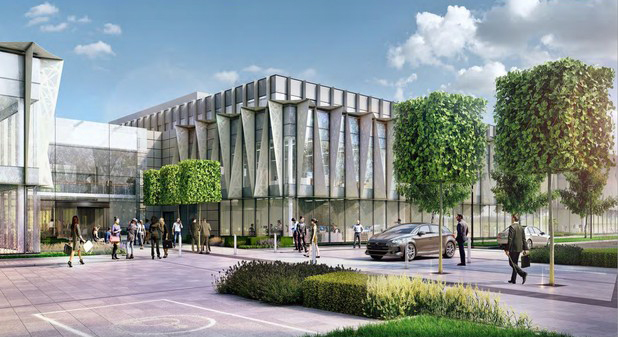 This project involved the fitting out of a new 180,000 sq ft HQ in two linked buildings on the Peterhouse Technology Park in Cambridge. A technologically advanced fit out, our designs incorporate an ‘Internet of Things’ (IoT) intelligent buildings platform, designed to enable a more intelligent use of building systems, including the potential to use multi-sensors and personal control apps. We aim to create a flexible, efficient working environment, improving staff productivity and reducing energy consumption. These systems will allow ARM to capture real time data on building utilisation and energy use, along with providing a means for building users to interact with their working environment. The technology will allow ARM to make the most efficient use of their office space, both in terms of occupancy and energy consumption.